Final Fantasy VII Remake is apparently “progressing well” according to some key creators, but it isn’t going fast enough. So this week’s ‘Shop Contest is about speeding it up...by making it ourselves. As you can see up top, I have some ideas about what Final Fantasy VII Remake should have going on. 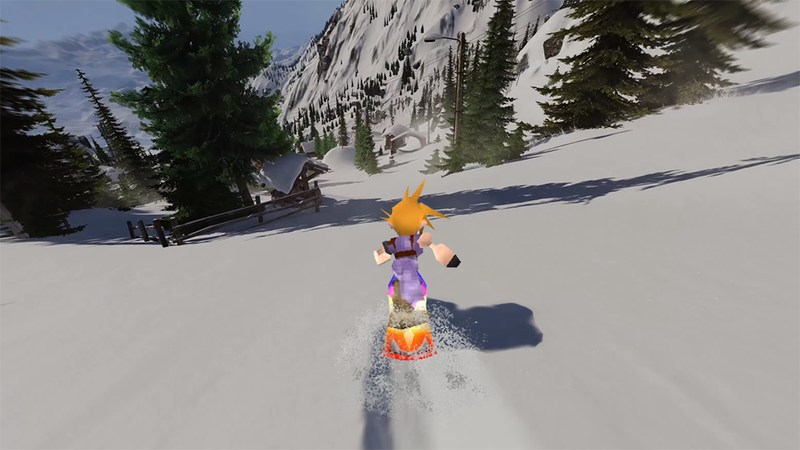 If it does not have an important character death immediately followed by a fun snowboarding minigame, then it is not the game that it is supposed to be. Also, crucially, I think that it should have some original character models. I want to see hyperrealistic superuniverses populated by sharp PlayStation people. I don’t have any explanation for this. It’s just what I want. This week’s task is to ‘shop up some scenes, moments, or screenshots from your best mental image of what Final Fantasy VII Remake should be. This is a wide open week, so feel free to source images from whatever place you need to in order to make it happen. Here’s the official trailer from a few years back if you need it.